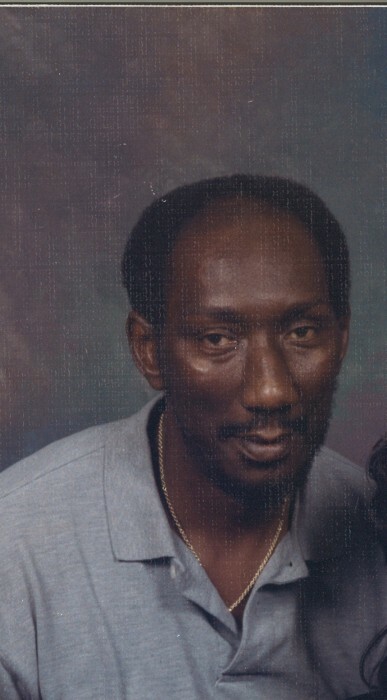 Mr. Willie Lee Best, 64, of 7716 Daiselle Place, Saratoga, NC, passed away on Thursday, November 1, 2018 at Wilson Medical Center. Willie was the son of the late Lendon Beamon and Bessie Ann Moore. He was also blessed to have adopted parents who were very instrumental in his up-bringing, the late Aaron and Lillie Lancaster. The funeral service is scheduled for Saturday, November 3, 2018 at 11:00 a.m. at Stevens Funeral Home, 1820 Martin Luther King, Jr. Pkwy., Wilson, NC. Rev. Richard Mercer will officiate and Rev. William Horne will officiate. Burial will follow in Rest Haven Cemetery, Lane Street Ext., Wilson, NC. A public viewing will be held on Friday, November 2, 2018 from 5:00 to 7:00 p.m. at Stevens Funeral Home. At other times, the family will be receiving friends at the residence and will assemble there on Saturday at 10:00 a.m. in preparation for the funeral procession. Willie was preceded in death by: one son, Anthony King; one step-son, Donnell King; his parents, Lendon Beamon and Bessie Ann Moore Best; his adopted parents, Aaron and Lillie Lancaster; and two brothers, Ronnie Best and Donnie Best. He leaves loving and cherished memories to: his devoted wife, Lorraine Anderson Best of the home; one daughter, Sharon Lynette King of Wilson; one step-son, Reginald Keith Anderson of Zebulon, NC; two grandsons, Quantavious King and Dontrell Bunch, both of Wilson, NC; one granddaughter, Kijira Sharpe of Raleigh; one step-granddaughter, Lauryn Rena Anderson of Zebulon, NC; five sisters, Lorraine Wilkes, Virginia Johnson (Stanley) and Helen Jones, all of Wilson, NC, Dianne Wilkes of Saratoga, NC and Joyce Morgan (Willie) of Lucama, NC; three brothers, George Hardy (Rosalie) of San Francisco, CA, and William Best (Tina) and Charles Best (Linda), both of Wilson, NC; one aunt, Minnie Ward of Richmond, VA; two sisters-in-law, Carolyn Michelle Jones (James) of Virginia and Brenda Barnes of Wilson, NC; four brothers-in-law, Michael Anderson (Debora) of Elm City, NC and Kenneth Anderson (Joyce), Melvin Douglas Anderson and Joe Anderson, Jr. (Lillie Ruth), all of Wilson, NC; and a host of nieces, nephews, cousins, other relatives and friends.